Hi Lovelies! Welcome to our latest moodboard for a white and gold wedding that is contemporary, light and airy and filled with interesting details. This almost burnt shade of golden yellow is super up and coming and we think it looks amazing paired with white and layered neutrals. Although this concept is modern, luxe and glamorous, you’ll spot that we added some wooden pieces, and done sparingly this keeps this look fresh, without becoming too flashy. Below you’ll find our tips on how to get this look, including the sleek bridal look with this stunning long sleeved wedding dress! Candles, candles and more candles! 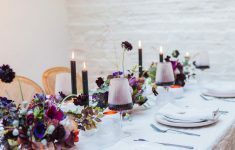 From tall tapers to chunky pillar candles as design features throughout your wedding space. We love the elegance and simplicity of these white pillar candles of different heights encased in class vases. Light installations. You can keep it super simple like this example with lights or pendants above some of your tables – but of course there are loads of creative lighting installations arriving on the scene including neon lettering! 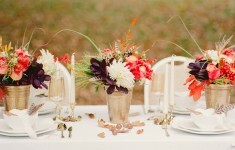 Interior design and wedding table styling crossover! Look to the interiors trends you’re loving like the fab vases we’ve included below, which can be added to your tables. 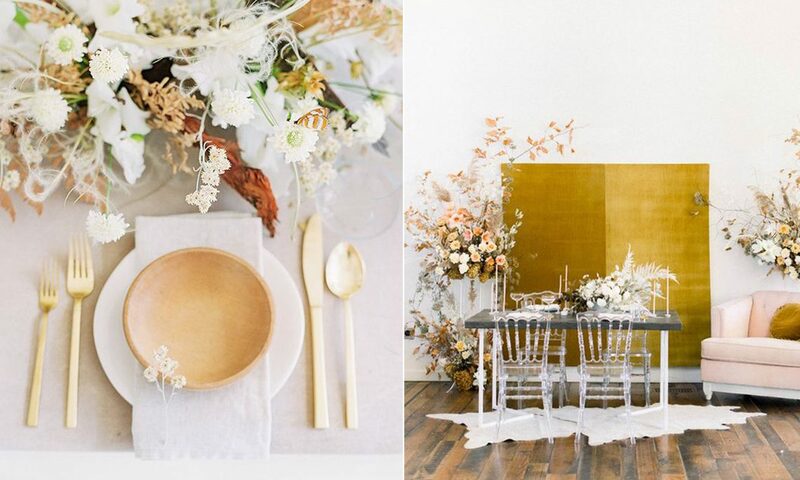 Find out our tips on how to get this look below, with suggestions for both decor details + bridal fashion! Add dashes of this gold tone with silk ribbon, for your bouquet as well as with stationery pieces for your place settings. This Saffron Silk Ribbon by B.LOVED Edit Supplier Kate Cullen is perfect! Test Tube Vase by Zara Home . Glass Vase with Gold Base by Zara Home . Tall Glass and Gold Trio Vase by Zara Home . Round Glass Vase with Gold Neck by H&M Home . Metal + Glass Test Tube Vase by H&M Home . 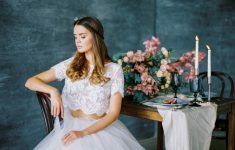 For this bridal look we’re coveting the simple smooth texture of sleek modern wedding dresses and those with long sleeves. 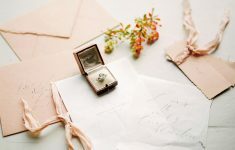 You can have real fun keeping this minimalist for an understated chic bridal look, but it’s really easy to accessorize too. You can opt for elegant stud earrings and timeless bracelet or go for statement earrings! This style of wedding dress looks great with a variety of hair styles to from a modern ponytail to a chic glossy down hair style! 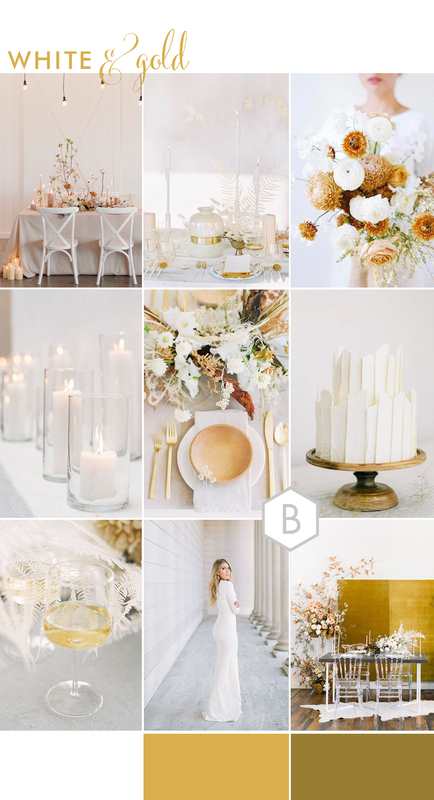 See more of our B.LOVED moodboards for inspiration here!